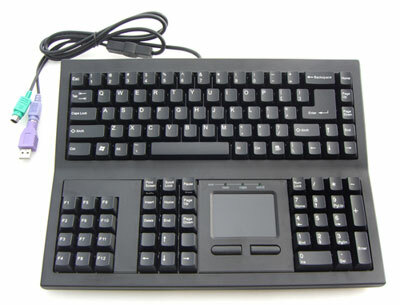 A Touchpad Keyboard is a standard computer keyboard with a built-in touchpad. This allows the typist the option of either using no external mouse, or a secondary pointing device. Touchpad Keyboards are typical in Laptops, and are commonly equiped with two mouse buttons located just below the touchpad. 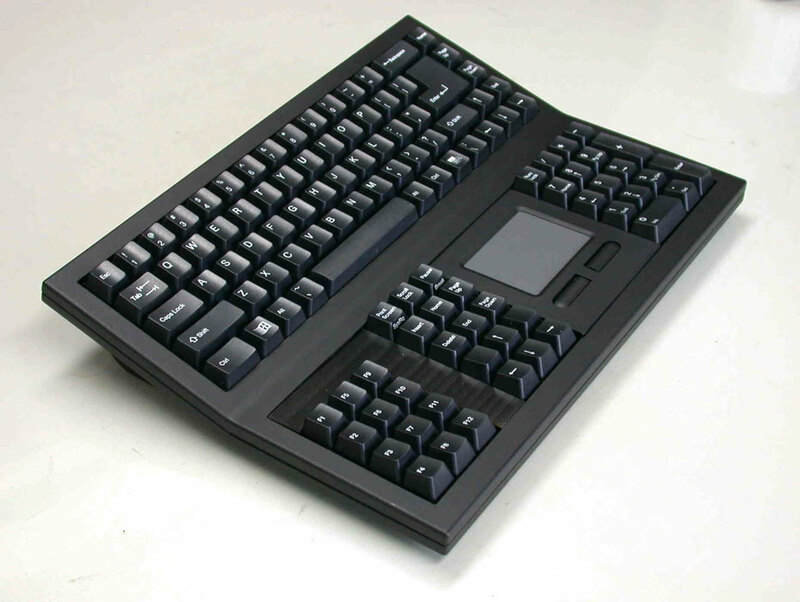 This style of keyboard provides relief for the user whose work demands excessive use of a mouse, keeping the hands in a more natural, relaxed position with the hands resting on the keyboard. Improves numeric entry while keeping all keyboard functions in front of the user without wasting space. 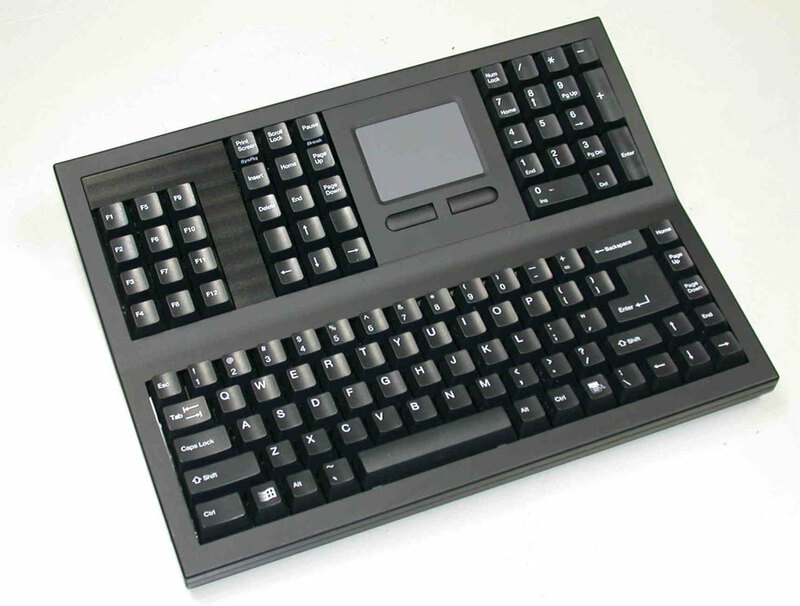 Improves data entry while keeping all keyboard functions in front of the user without wasting space. Two PS2 Connectors! USB adapter included for Keyboard use. Important Note: We can not guarantee this keyboard to be compatible with all switching devices, adapters, or docking stations. We highly recommend that you use direct connection to the computer or laptop if possible.